When will be Crocamole next episode air date? 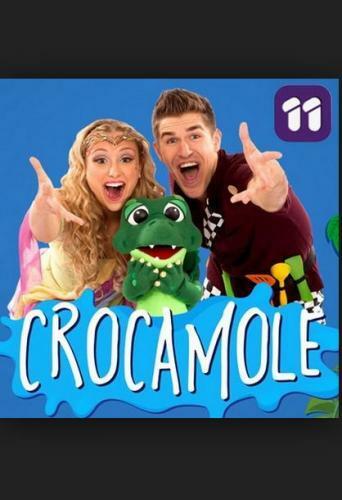 Is Crocamole renewed or cancelled? Where to countdown Crocamole air dates? Is Crocamole worth watching? It's dog day at Crocamole today. Truffle makes the perfect paw printand a little puppy visitor pays a call. It's story time in the Magic Kitchen. Join the trio and take a look atSleeping Beauty. See how to make a French Toast Tower and yourown spinning wheel. Take a drive round the Magic Kitchen today. Croc, Molly and Truffletake a trip around a fire truck and Molly makes a crane. Crocamole next episode air date provides TVMaze for you. EpisoDate.com is your TV show guide to Countdown Crocamole Episode Air Dates and to stay in touch with Crocamole next episode Air Date and your others favorite TV Shows. Add the shows you like to a "Watchlist" and let the site take it from there.